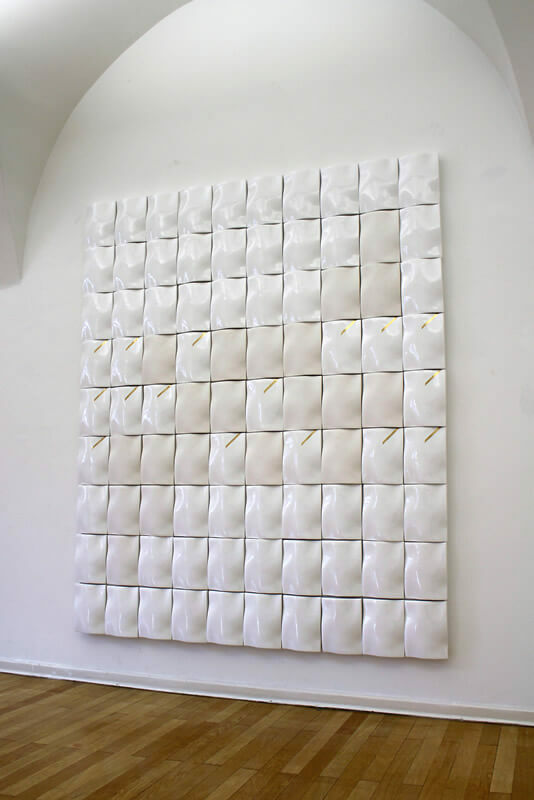 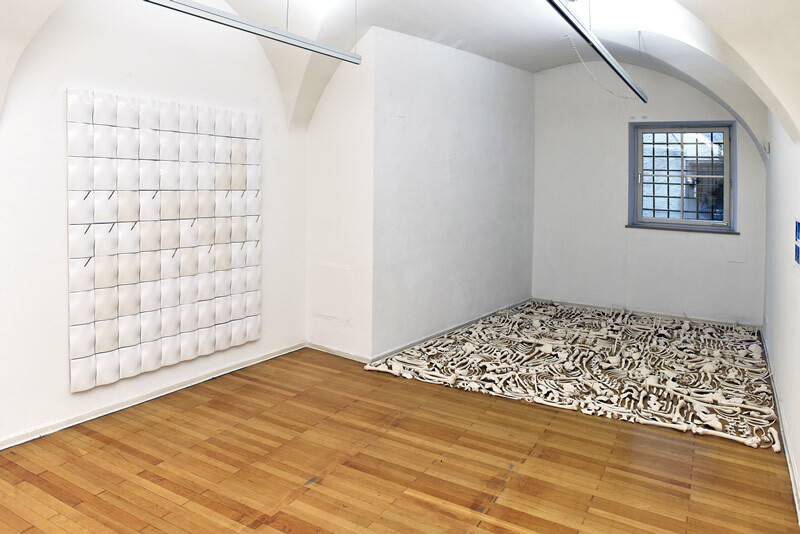 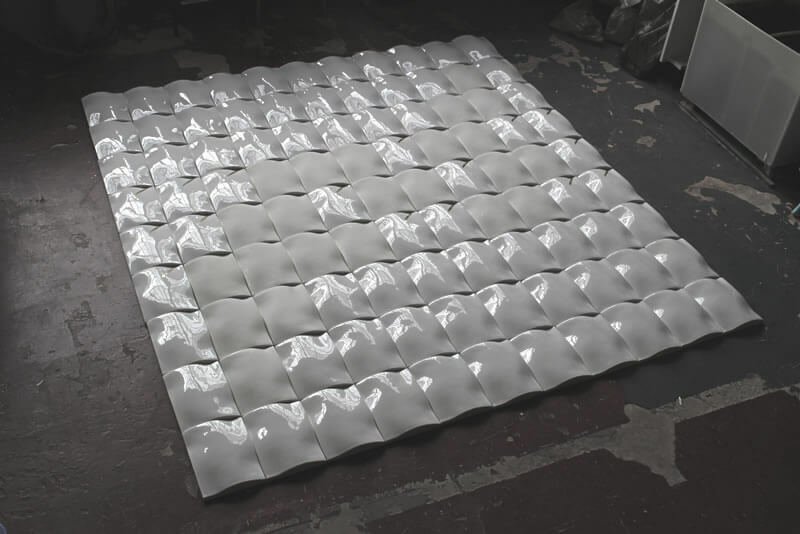 In 2015 Regina's artwork “Reflection” was nominated for the Austrian Ceramics Award, presented at Galerie im Traklhaus, Salzburg. 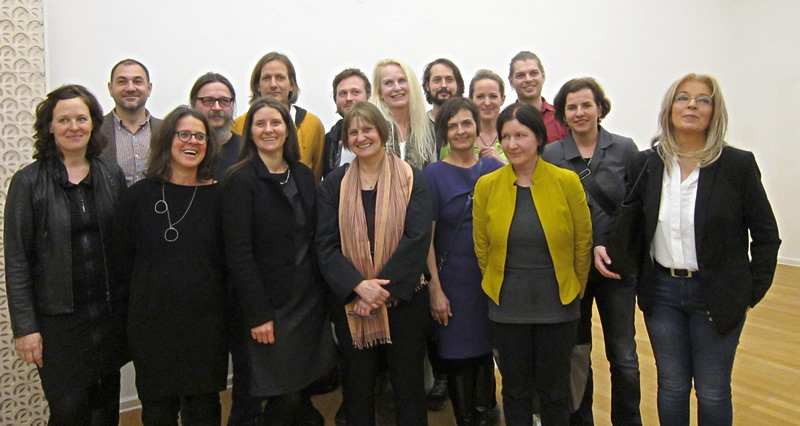 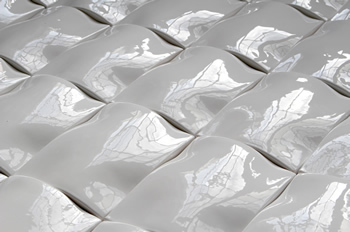 Celebrating its 10th anniversary last year , the award represents a cross section of contemporary Austrian Ceramics. 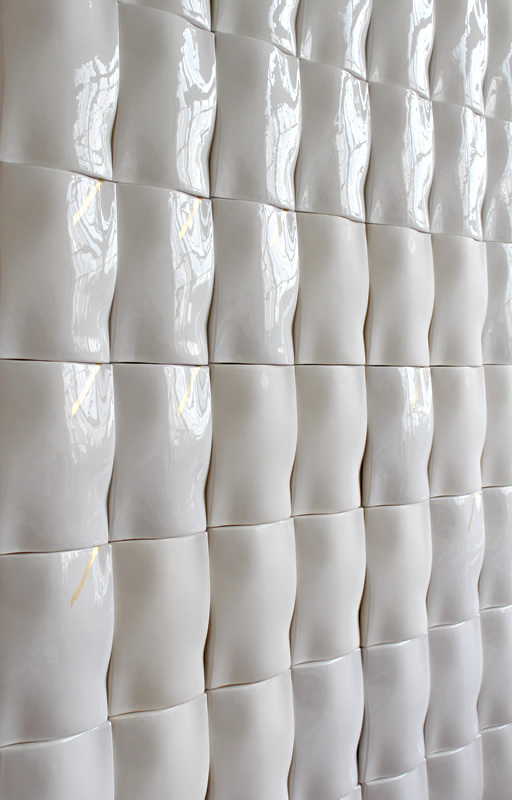 Specifically designed for the contemporary gallery space at “Traklhaus” Salzburg, Regina’s art work featured 90 sculptural tiles in an alternating pattern of matte and high-gloss, white glazed finish with accents in gold. 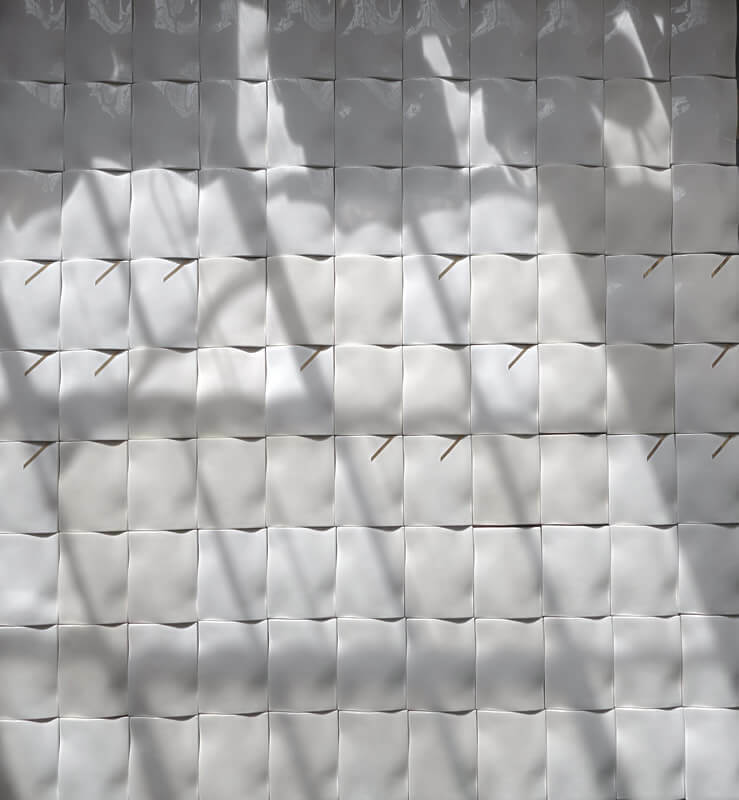 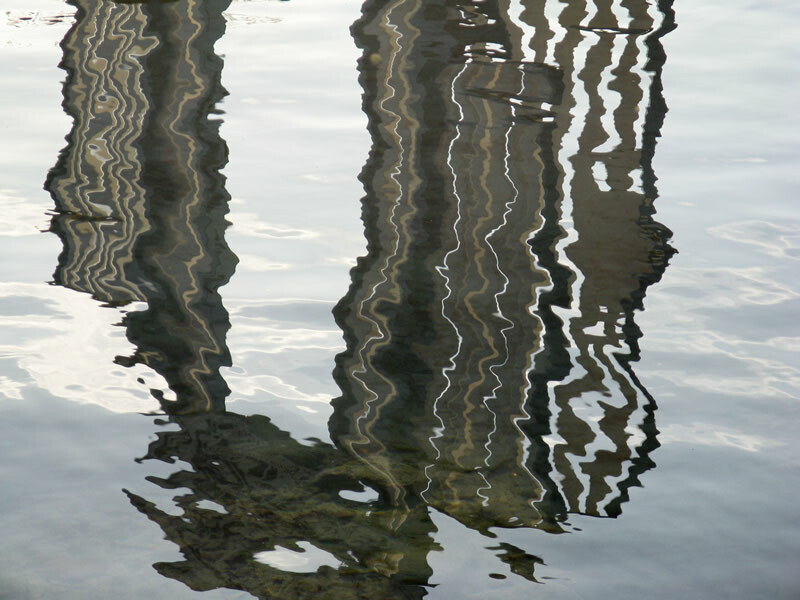 This is Regina's first wall panel of the “Reflection” series, and animates the plane white gallery wall through light and shadow, reflection and sculptural form. 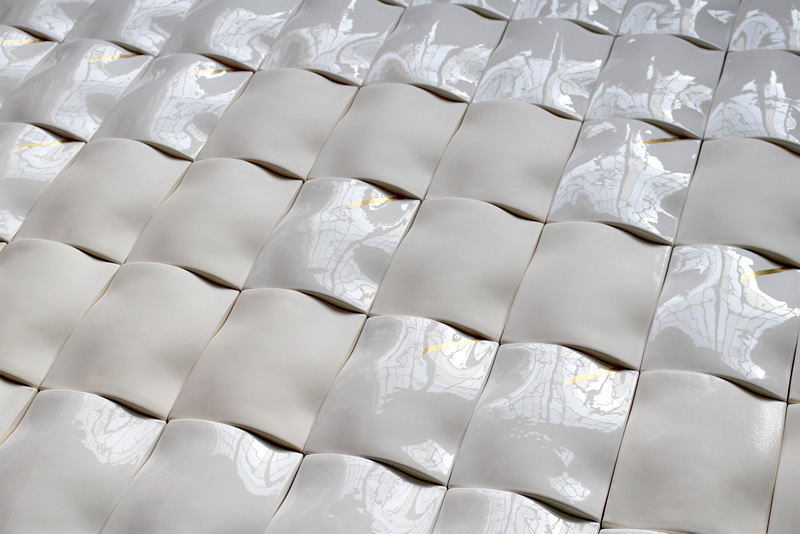 The minimalist light-toned artwork reflects the idea and stillness of a neutral space, yet the undulating tiles' high-gloss surface registers changes in light and movement and produces an elusive mirror image of its surroundings.